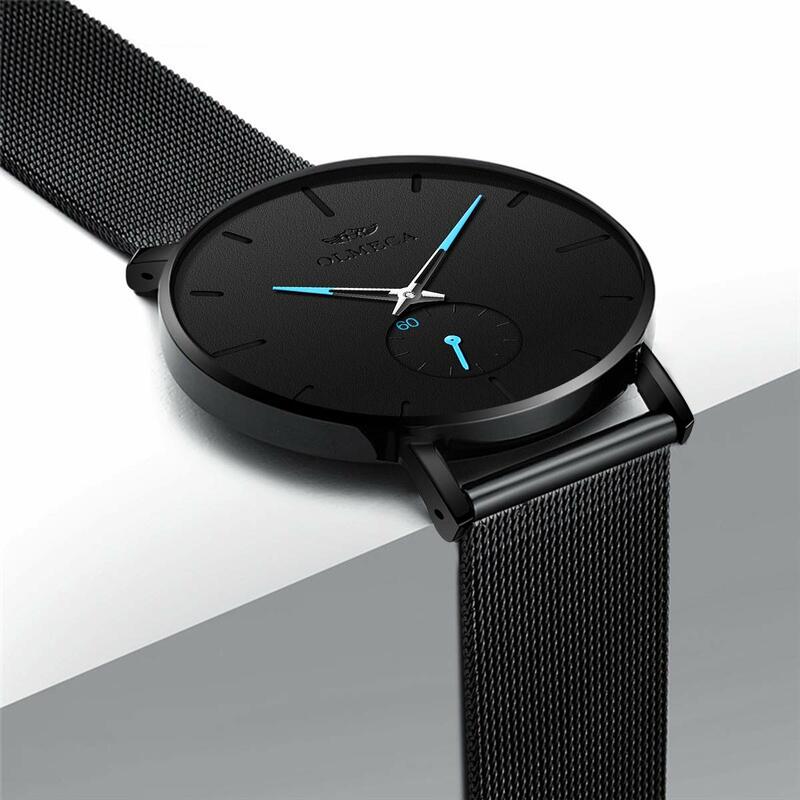 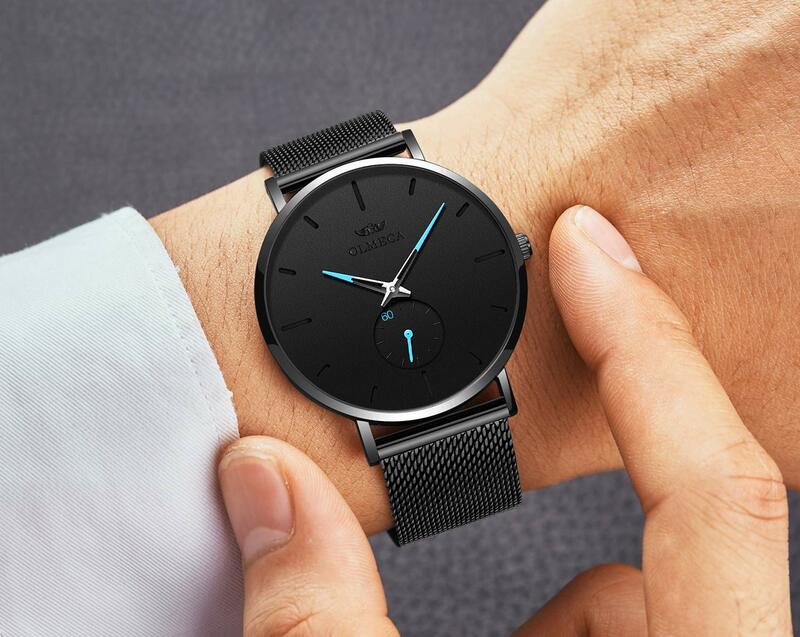 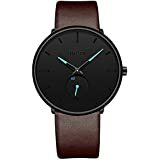 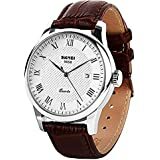 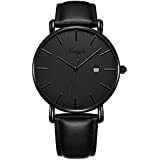 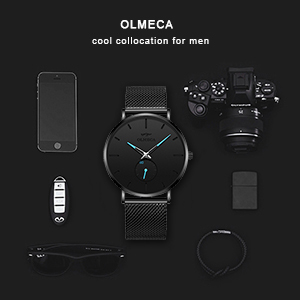 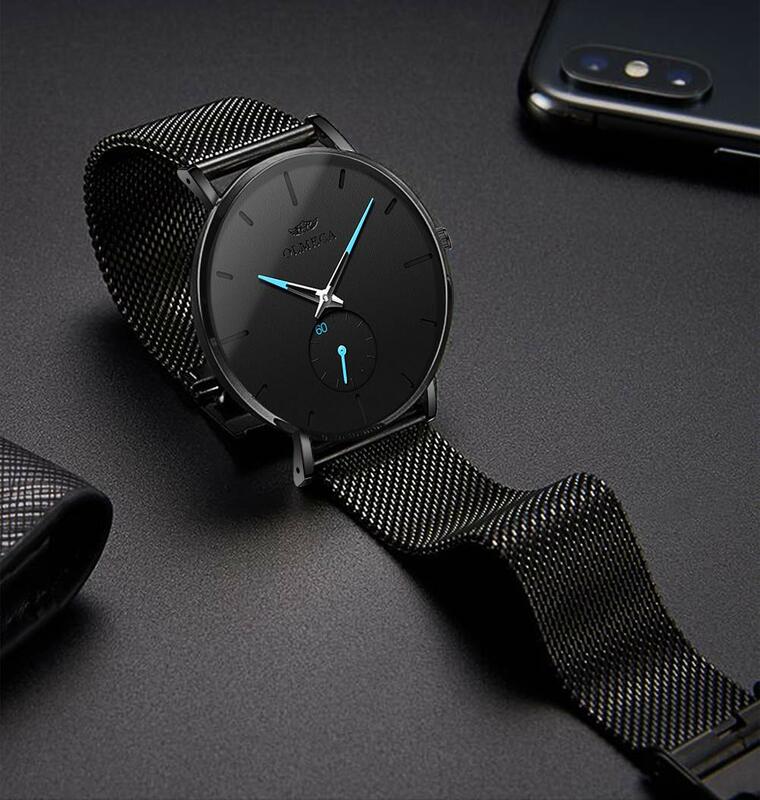 • ★SIMPLE AND NEUTRAL STYLE★ Minimalist black dial with simple three-pin bring you a different feeling; The small hands on the small dial be effective of decoration and show the seconds; High hardness mineral glass prevent the damage of scraping. 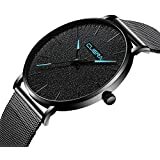 • ★HIGH QUALITY WRIST WATCH★ Lightweight Stainless Steel Milanese mesh band, it is easy to adjust the band length to fit your wrist. 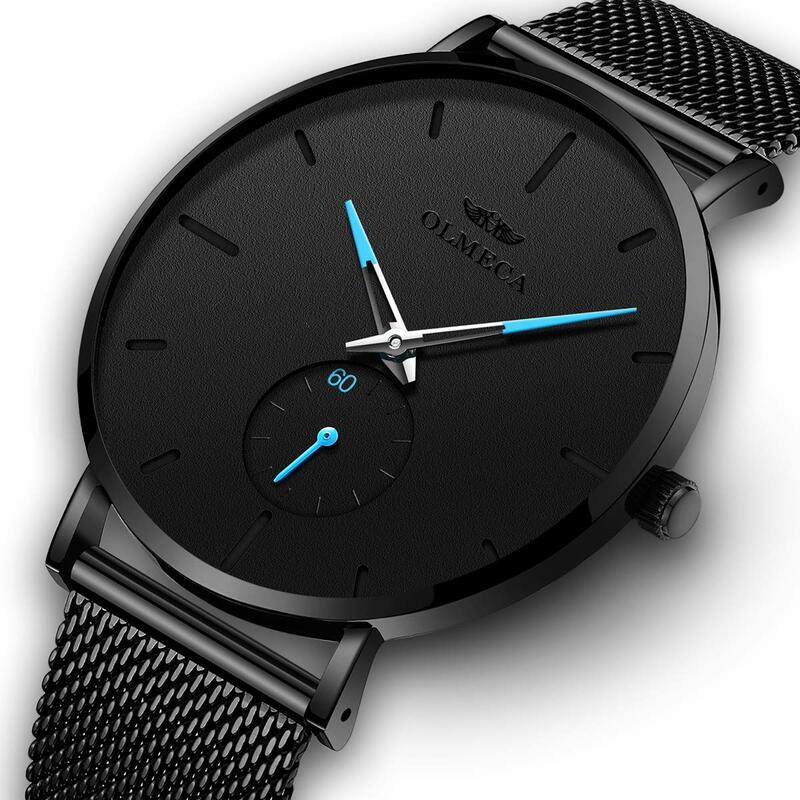 High quality quartz movement, which is accurate in keeping the time and durable for a long time. 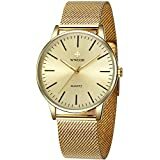 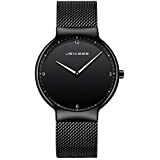 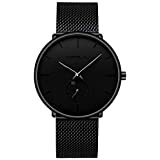 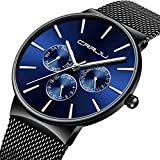 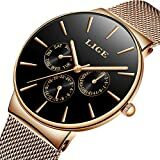 • ★MILANESE MESH BAND(18.5CM LENGTH )★ This is men’s standard size watch with 41mm dial diameter. 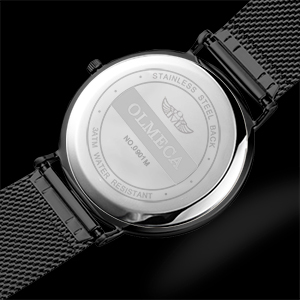 The band is made of stainless steel with IP electroplating process. 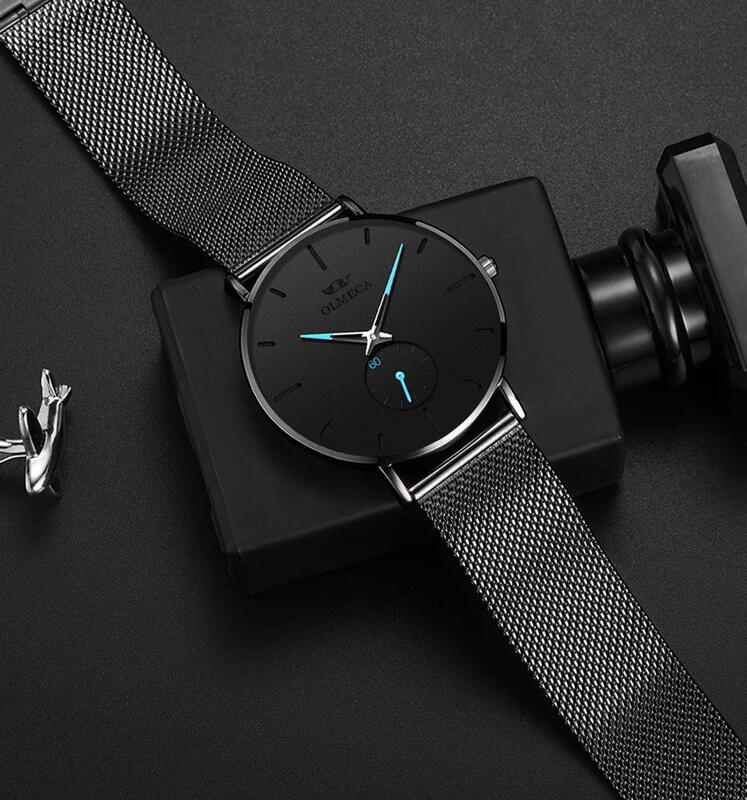 So it not only suitable for wrist, but not easy to fade and rust. 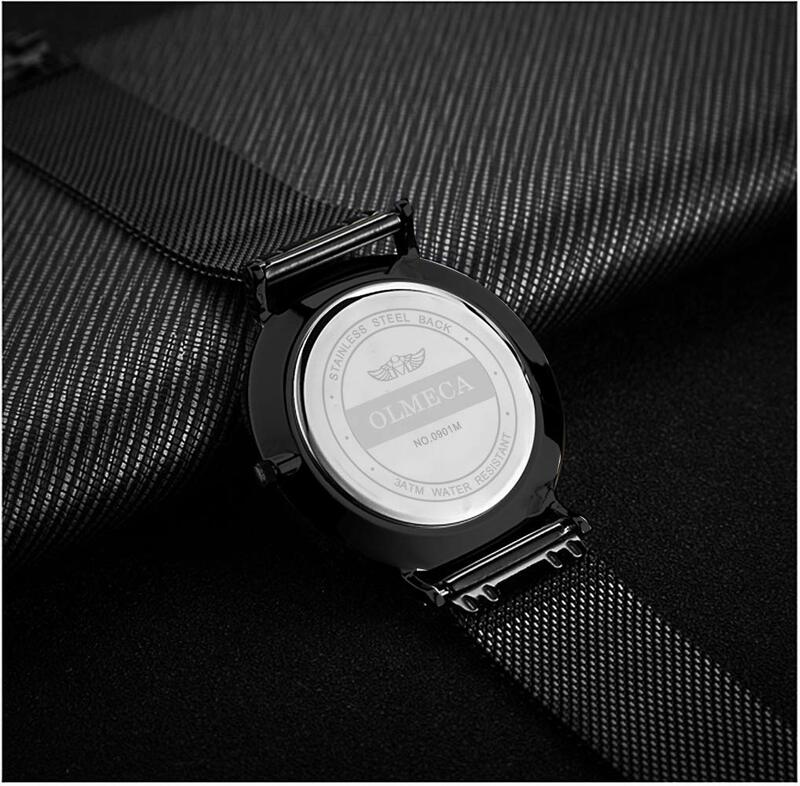 • ★GIFT IDEAS★ This watch will come with a elegant watch box, high quality watches and exquisite packaging. 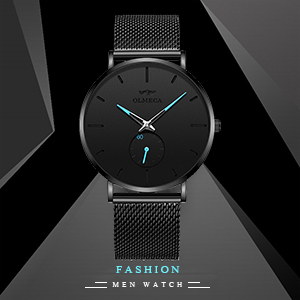 As a best gift for birthday, Christmas, valentine day, wedding, new year, father's day, mother's day and so on. • ★WATERPROOF FOR DAILY USE★ 3 ATM water resistant, sweating, hand washing, rain day, withstands splashes or brief immersion in water, not suitable for diving, swimming, snorkeling, water-related work. 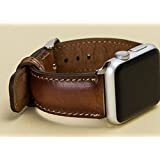 - Stainless Steel shell and bands, Sturdy hook buckle, durable for a Long Time. 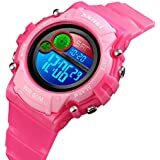 - 98FT / 30M Normal Water Resistant: Hand washing, swimming, daily use waterproof, not suitable for underwater activities - such as diving. 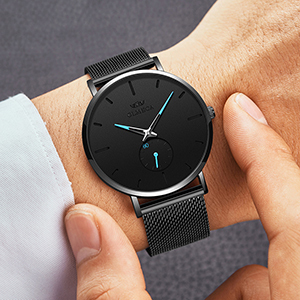 in decorating and showing the seconds as well. 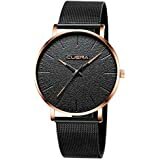 valentine day, wedding, new year, father's day, etc.